William & Mary plans to commit $1 million to recruit a more diverse faculty, President Taylor Reveley announced today. The effort is just one of several immediate actions the university will take based on recommendations from the Task Force on Race and Race Relations. The university also plans to rename two buildings to more fully reflect African-American history at the university, hire a consultant to explore the concerns of employees and strengthen practices that promote diversity in hiring, training and assessment of campus culture. “As the provost and I discussed with the task force members, we are committed to making William & Mary a stronger, more diverse and more inclusive university for every member of our community,” Reveley said in a campus message. After creating the task force last spring, Reveley charged it with providing recommendations in four areas: campus climate, prevention and education, recruitment of diverse faculty and senior administration, and bias reporting and incident protocol. The task force, led by Chief Diversity Officer Chon Glover, submitted its report to Reveley at the end of March 2016 with a list of prioritized recommendations. It is now available on the task force website. Although Reveley and other campus leaders are still in the process of reviewing the report and its recommendations, the president has already committed to implementing several immediate actions, including the initiative to recruit new faculty to increase W&M’s diversity. As part of that effort, the university has included $500,000 in next year’s budget, which will be presented to the Board of Visitors this week. The recruitment initiative would be W&M’s single largest new programmatic investment for academic year 2016-17, Reveley said. Another $500,000 will be recommended for 2017-18 (for an annual recurring commitment of $1 million) as well as $100,000 for additional staffing and programming support next year for Glover’s Office of Diversity and Equal Opportunity. “This is a significant step, but in my view, only a start,” Reveley said. 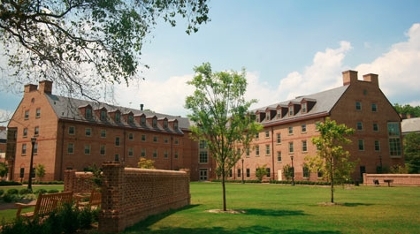 In his campus message, the president also said he will propose to the Board that W&M rename the two Jamestown Residence Halls, which opened in 2006 and border Jamestown Road. One would become Lemon Hall, in memory of an enslaved man owned by William & Mary in the late 18th century and for whom the university’s Lemon Project is named. Established by the Board of Visitors in 2009, the Lemon Project is an ongoing research initiative that is exploring William & Mary’s involvement in slavery and segregation and its ongoing relationship with the African-American community. While very little is known about Lemon himself, his name represents an effort that has become a model for other universities looking to study, acknowledge and learn from their past history. “In many ways, Lemon stands in the place of the known and unknown African Americans who helped to build, maintain and move the College forward,” the project states on its website. The other residence hall would become Hardy Hall in recognition of the late Carroll Hardy, a longtime administrator in student affairs who made an indelible impact on diversity at the university. “Dean Hardy,” as she was affectionately called by students in the 1980s and ’90s, is credited with being a tireless advocate for diversity at W&M and improving the campus experience for students of color. Hardy joined W&M in 1980 as associate dean of multicultural affairs and served in several different capacities, including associate dean of students for minority and commuting student affairs and associate dean of student affairs. Among her many accomplishments at W&M and beyond was the establishment of the National Black Student Leadership Development Conference for college students across the country. She also founded the Hulon Willis Association for African-American students and alumni, worked to increase diversity of W&M’s student body through six summer enrichment programs for students in grades 8 to 12, and helped create and support 15 multicultural student organizations at William & Mary. 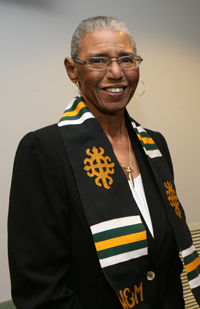 Hardy, who received honorary alumna status at W&M, passed away in 2012. The consultant who will be retained to understand the concerns of African-American employees will take an especially close look at non-exempt employees in facilities and management and will help the university develop a plan to improve workplace conditions, management practices and wages. William & Mary will also conduct a periodic campus climate survey to help identify and address potential issues. Additionally, William & Mary will have mandatory diversity and inclusion training for faculty and staff and expand diversity training and education for students and student groups. Reveley will also appoint an implementation team to review the task force’s recommendations and develop a plan for future actions. The 21-member task force included faculty, staff and administrators (several of whom are also alumni), students and a member of the Board of Visitors, organized into four subcommittees around the four areas of Reveley’s charge. The task force began meeting monthly in March 2015 and, throughout the year, focused on four tasks: discussing current programs and practices at William & Mary, hosting six on-campus forums on the university’s racial climate, reading and discussing feedback from the community received on the task force's website and examining events related to race and race relations across the country both on university campuses and beyond. The task force’s report includes 10 prioritized recommendations, including several related to the president’s announced immediate actions such as renaming campus buildings to more fully reflect the diversity of the W&M community; retaining an outside vendor to understand the concerns of facilities management staff; implementing diversity and inclusion training for faculty, staff and students; institutionalizing a periodic campus climate survey; and appointing an implementation team. The report includes a total of 51 recommendations. A soon-to-be-named implementation committee will begin its work as soon as possible, and review what other actions are possible in the near term, what are long-terms goals for the university and which recommendations need further analysis or modification. William & Mary has been striving to become that kind of leader through such efforts as the Lemon Project, the removal of Confederate imagery from the campus last year and the task force’s campus forums, Reveley said in his message. However, the university still has much to do, as outlined in the report. “Last fall when racial issues took center stage at universities across the nation, we had already formed our Task Force on Race and Race Relations. Over the course of the past year, the task force held six community forums with students (both undergraduates and graduates), faculty and staff. These forums helped open lines of communication more fully than ever before, and we are committed to continuing that dialogue,” Reveley said.